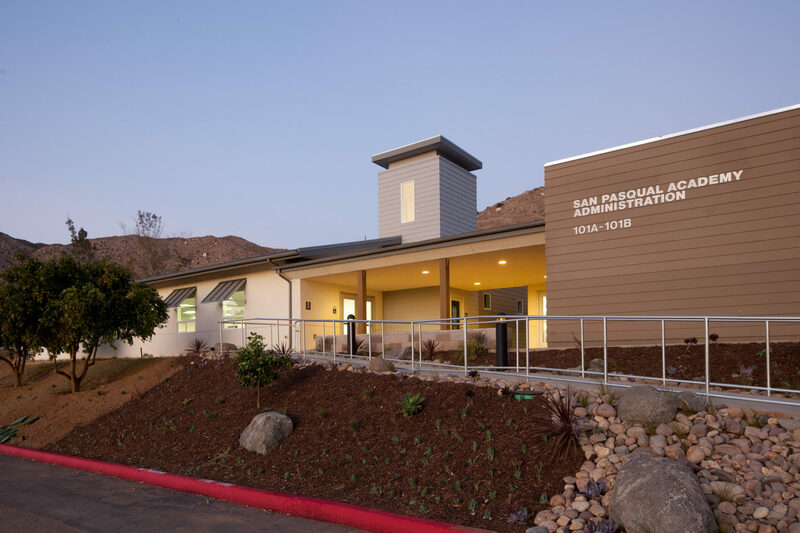 The County of San Diego hired Legacy on this design-build project which included a new administration building and 30 residential units for the 300-acre San Pasqual Academy Campus. 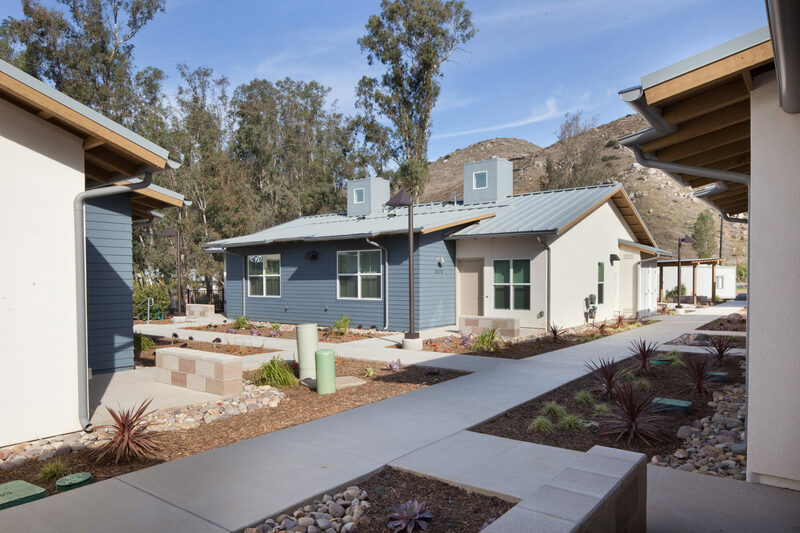 Using IPD and LEAN Construction principals, our team put together an overall master plan for the campus which assisted in bringing long-term sustainability to the Academy while building a strong sense of community. 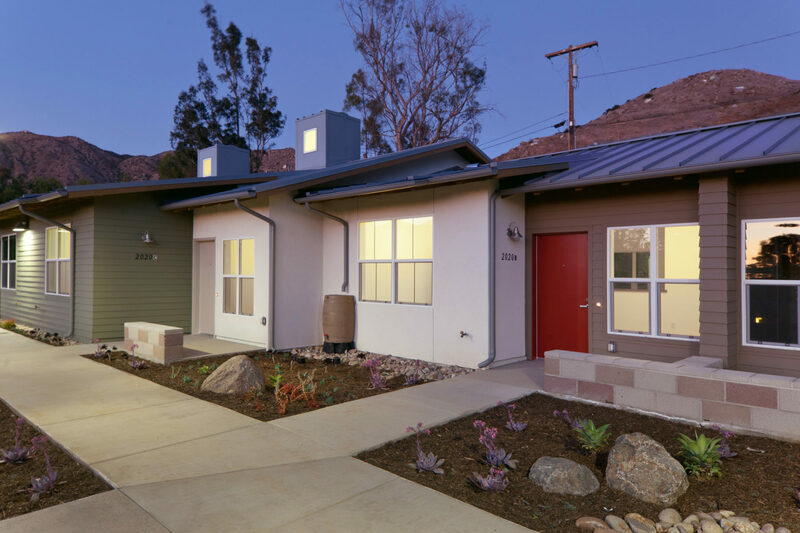 The project received a record breaking 30 LEED Platinum Certifications and one LEED Silver Certification. 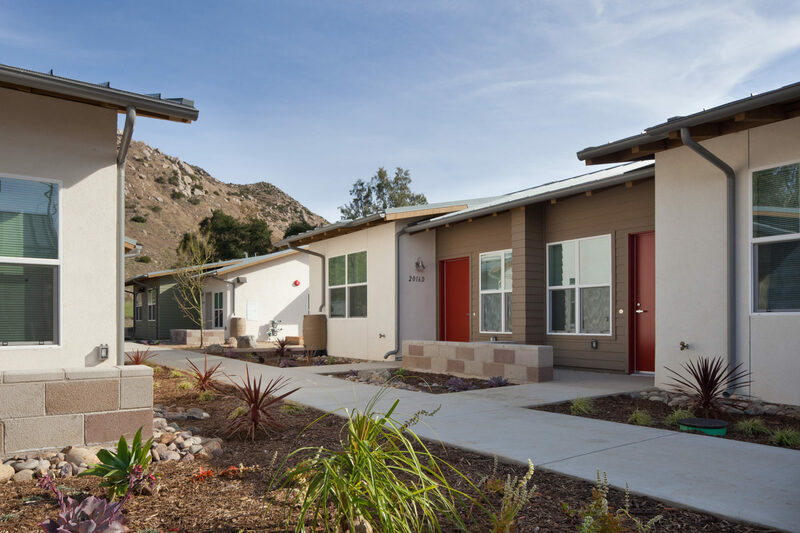 The San Pasqual Housing Reconstruction Project creates a living community that supports the unique rural character of the San Pasqual Valley region and campus. 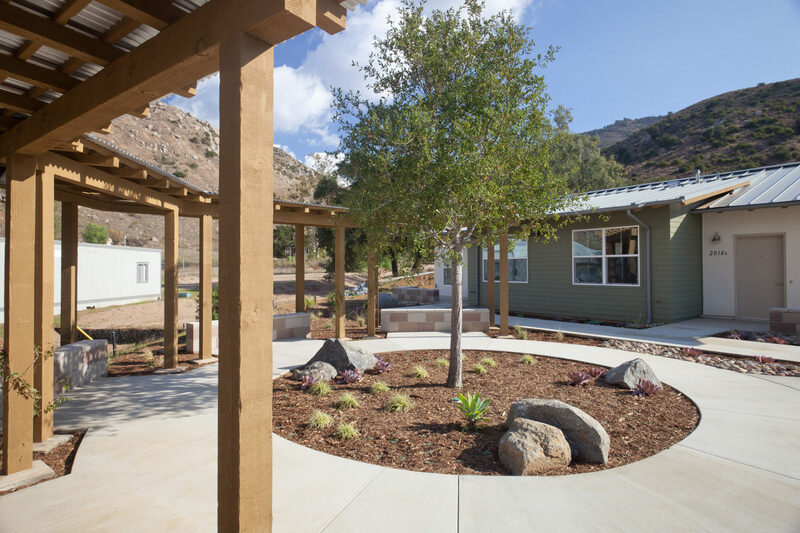 The rural agricultural character presented opportunities to blend agrarian building forms and landscapes with farmed valleys and natural canyon chaparral. 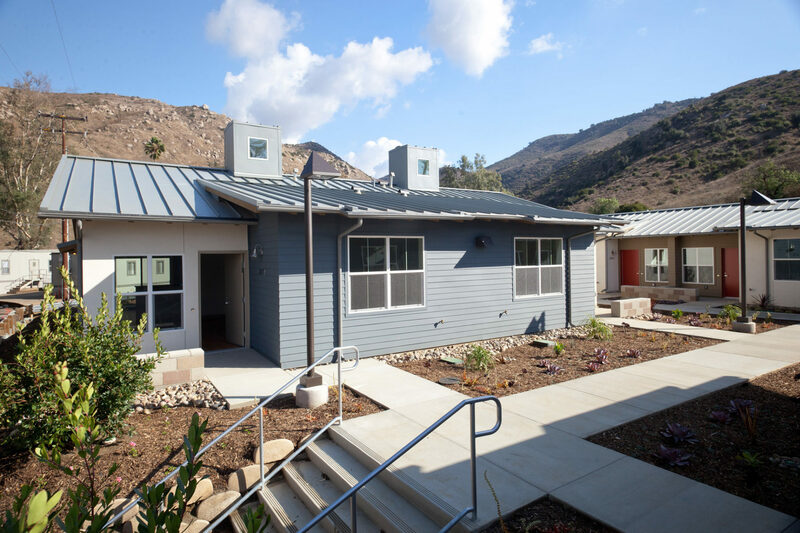 The buildings and site support the County’s request to have a flexible, durable, and easy to maintain project that supports both the housing and administration programs of the Academy. 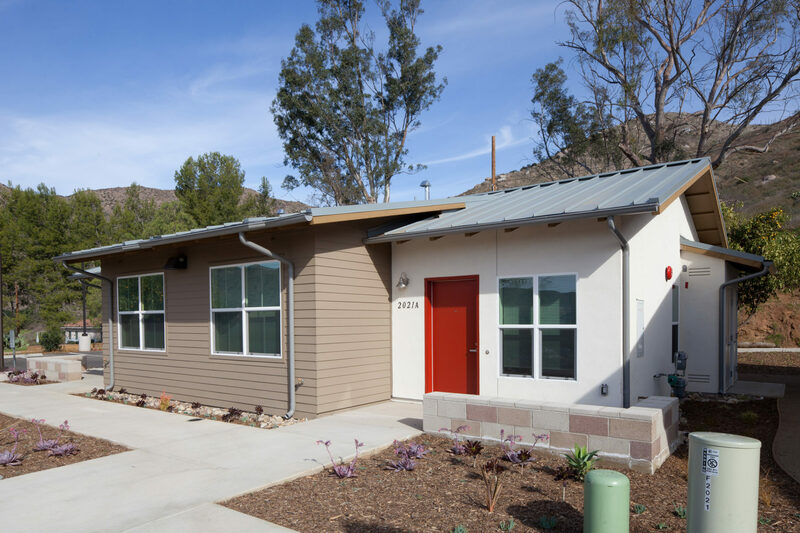 The design utilizes sustainable solutions that fit into the environment, are unique to the area, and are low maintenance.